The atmosphere of Northwest Point constantly changes. Especially impressive during a higher than usual ocean swell, this is a great place to explore, beachcomb and birdwatch. Snorkeling is excellent during calm conditions. The nicest coastline and wetlands are found west of the light tower up the beach. This area has a greater than normal crime risk due to the isolation. Ironshore at Northwest Point Marine National Park. 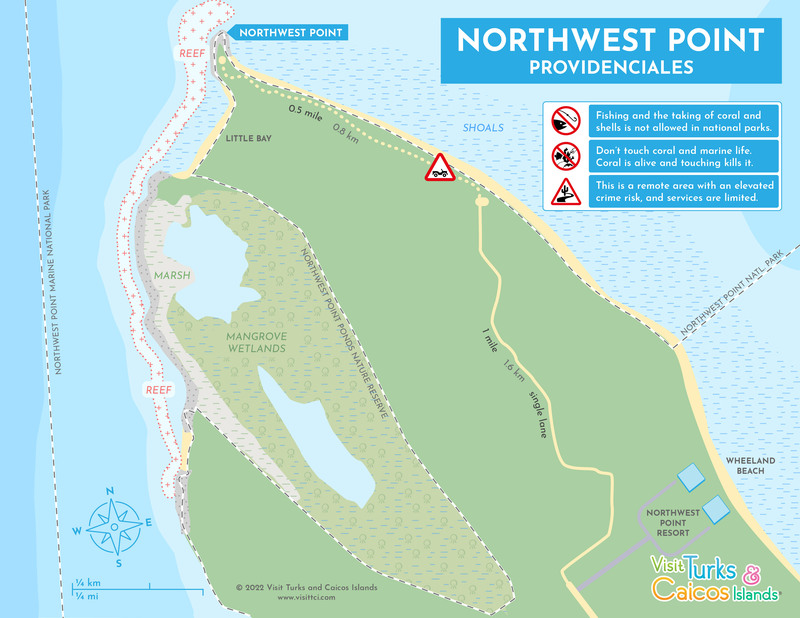 Northwest Point is a highly scenic coastal environment and the extreme north-eastern point of Providenciales. 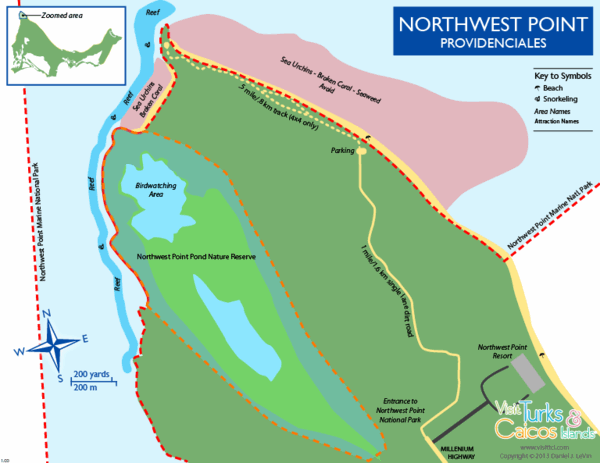 This general region is comprised of two protected areas: the Northwest Point Marine National Park, which includes a significant region of the ocean and coast up to the high tide point, and Northwest Point Pond Nature Reserve, an inland marine wetland. 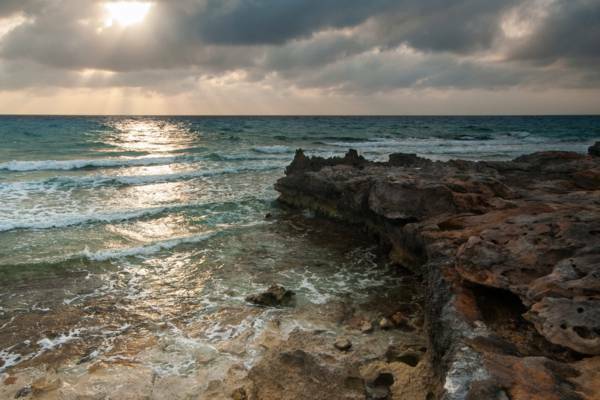 The main points of interest here are the rugged marine limestone coastline (locally called ironshore), small coves and beaches, wetlands, birdlife, and majestic ocean conditions. The Northwest Point area is not a great place for swimming. The water tends to have hidden sharp rocks, large amounts of sea urchins, seaweed, and can be quite rough at times. However, when conditions are calm, excellent snorkelling can be found off the western side of the point. 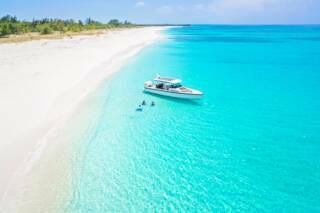 Fishing is illegal in the Northwest Point Marine National Park, as in all national parks in the Turks and Caicos. Tri-colored Herons, Northwest Point Pond Nature Reserve. 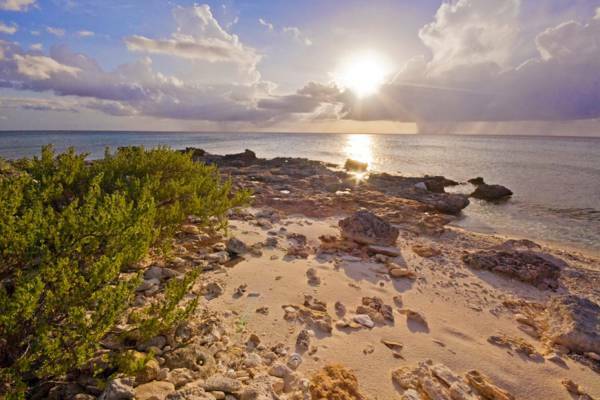 Northwest Point is an ideal place to spend an afternoon exploring some of the natural features of the Turks and Caicos. Northwest Point is an excellent birdwatching destination. There are two terrains here that attract birds: the beach and cliff coastal region, and the inland saline ponds. 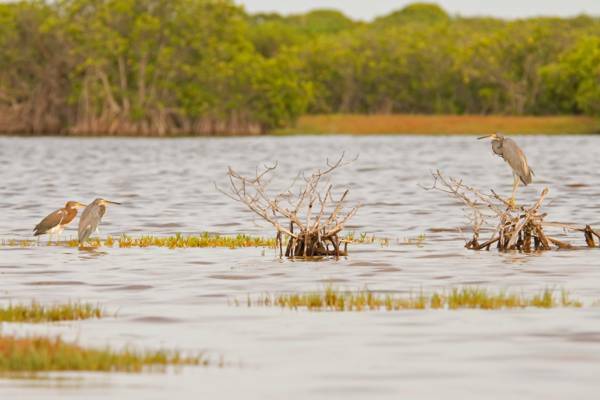 Common sightings include ospreys, brown pelicans, terns, American oyster catchers, gulls, green herons, yellow-crowned night herons, reddish egrets, stilts, warblers, and ducks. 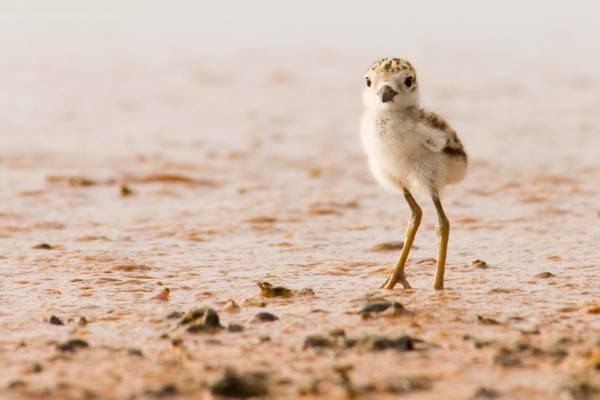 Wilson's Plover chick, Northwest Point Pond Nature Reserve. A bit rarer are red kites, great blue herons, cormorants, reddish spoonbills, flamingos, and kingfishers. The interior Northwest Point Pond Nature Reserve covers two inland salt water ponds. The ocean side western pond is a shallow muddy salt flat that is ringed by red mangrove trees, and is probably the best bird watching spot on Providenciales. The easiest way to get to the front pond is to walk about a half mile (.8km) south along the coast from the main peninsula with the light tower at Northwest Point, and then cross through about 150 feet (45m) of light brush to reach the pond. The interior pond is completely surrounded by mangroves, is largely inaccessible, and offers a completely different aspect, supporting intricate algae plants and underwater cave systems. 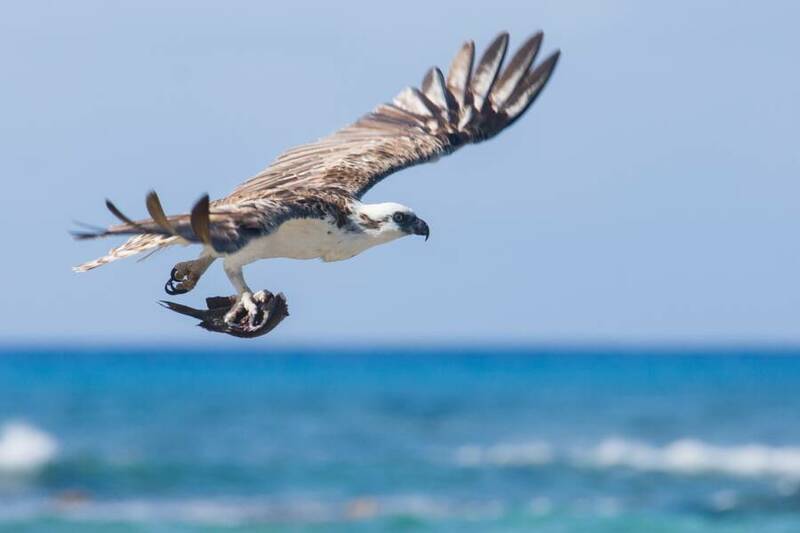 Osprey with prey at Northwest Point. The Caicos Islands group is situated on an elevated and submerged plateau, and the edge of this feature exhibits a sheer and drastic transition between the shallow water on the top of the plateau and the Atlantic Ocean floor. This drop-off is commonly referred to as the wall. Almost the entirety of the edge of the Caicos Islands shelf is surrounded by a vibrant barrier reef system, and this barrier reef, the wall, and deep ocean water is found quite close off the coast of Northwest Point. When there’s a significant ocean swell, impressive waves can be seen breaking close off the coast. Sunset at a deserted beach. To get to Northwest Point, follow Millennium Highway all the way out to the end. Enter the small one lane track right after the entrance to Northwest Point Resort. There is a small sign that says “Natural Park”. After one mile (1.6km), the road reaches the coast. The track continues for about half a mile (.8km) along the beach before ending at the point, but it’s probably best not to attempt to drive this last part with a car as road surface conditions are poor and most vehicles (including most rental 4x4s) will get stuck in the soft sand. Note: Northwest Point is a relativity remote area with a higher risk of crime than more populated areas. See our Safety and Crime section for more information. Froggie's Ultimate Tours offers guided ATV tours from Blue Hills and Wheeland to the Northwest Point area. Discover the amazing reefs, hidden beaches, and the awe-inspiring underwater wall of the Northwest Point Marine National Park on a private charter with Ocean Frontiers.